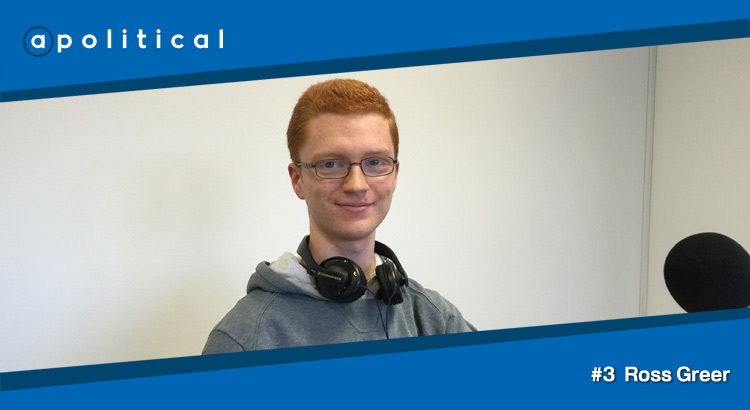 In Episode 3 of apolitical we speak with Ross Greer, the Scottish Greens’ Head of Development, about his political background, what drew him to the Greens and what he hopes to achieve in politics. We discuss the development of the Scottish Greens and their future prospects along with a range of other issues. • The importance of addressing economic inequality in Scotland.